Workplace injuries that result in any form of disability can have grievous consequences for injured workers and their families. In addition to the physical harm they've suffered, victims often also discover their financial wellbeing is in jeopardy due to astronomical, unexpected medical bills and lost wages caused by accident-related absences from work. Fortunately, there's help. Employees injured on the job or while performing duties in the course and scope of their positions could be entitled to benefits through Georgia's workers' compensation system. These benefits may include coverage of approved medical expenses, compensation for lost wages, and even Temporary Partial Disability (TPD) payments if the injury prevents the worker from returning to his or her job at full capacity for a while. 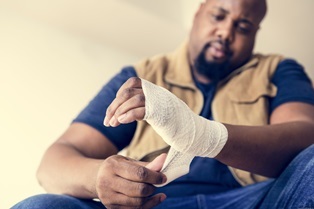 If you sustained a serious injury on the job and think you might be eligible for workers' compensation TPD benefits, here's what you need to know. When someone is hurt in a workplace accident but their injuries don't render them fully or permanently disabled, they may be able to return to work in a limited capacity. However, returning to a position with restrictions may mean fewer hours or reduced wages. Because the Georgia State Board of Workers' Compensation defines disability as “an impairment of earning capacity,” injured workers in this unfortunate position may be entitled to collect TPD benefits. These interim payments are intended to help soften the blow to their financial situations and make it easier to get back on their feet after an on-the-job accident. Their doctors placed restrictions on the number of hours they can work each week due to their conditions. Their doctors placed restrictions on what they can do at work, which may require them to take positions that pay less than jobs they held previously. In such cases, workers may be able to collect TPD benefits in the amount equal to two-thirds of the difference between their previous (pre-injury) and current wages: up to a maximum payment of $383 per week. Individuals may collect these weekly TPD payments for up to 350 weeks, or until they're authorized to return to work without restrictions. TPD payments may also change or stop if persons receive raises, thus increasing their earnings and decreasing the difference between pre-accident and current wages. After an on-the-job accident, workers should report the incident to their employers immediately and request medical attention. Waiting too long to report a workplace accident and injury may prevent an injured employee from receiving the benefits they deserve. In order to preserve their rights if income benefits have not been paid on their claim, an injured worker (or their attorney) must complete a Form WC-14 within a year of their accident or within a year of the last time that their employer provided them with medical treatment, and file it with the State Board of Workers' Compensation. Copies should also be sent to the employer and its workers' compensation insurer. Following a work accident, injured workers are entitled to medical treatment with a doctor on the employer's posted panel of physicians. This authorized treating physician will make a determination regarding their work status. If the doctor restricts the worker's physical activity, such as the amount that he can lift or the amount of time that he can be on his feet during the work day, the worker will be entitled to TPD benefits if the employer is able to accommodate the restrictions, but the worker is earning less than he did in his regular job prior to the accident. The workers' compensation claims process can be complex and frustrating. It's often difficult for injured workers to ensure they're receiving the benefits they're owed. If you have questions about a Georgia workers' compensation claim, the skilled attorneys with Rechtman & Spevak will help understand your legal rights and options. Contact us today to schedule an appointment to discuss the details of your case with a knowledgeable member of our legal team. We offer prospective clients a free initial case consultation. Will Workers' Comp Affect Eligibility for Other Benefits?